“When an American B29 bomber crash landed in the Soviet Union during World War 2. The legendary Soviet aircraft designer Tupolev took apart the plane bolt by bolt, part by part. Soviet industry at that time in 1947 did not have the machine tool industry to make many of the parts. So Tupolev had many of the parts made by hand in simple machine shops. His bomber flew although it was heavier than the B29. Less than two decades later, Tupolev was making some of the best long range bombers and passenger jets in the world.” ~ Gbemela Kobla. NTOABOMA — One must admire Kantanka’s efforts in Ghana, especially over the short period of three decades. One must also admire the enthusiasm with which the vast majority of Ghanaians and, in fact, Africans have received the first made-in-Ghana cars – or so Kantanka’s cars are branded. At the same time, one can appreciate the skeptics who have railed against Kantanka’s claims, particularly in the face of a recent article, which raised concerns about the validity of Kantanka’s assertions that his cars are actually made in Ghana. This “hit job” was penned by Jalopnik, a failing Gawker Media blog. (Just this year, Gawker filed for United States Chapter 11 Bankruptcy Protection after being ordered to pay former wrestler Hulk Hogan a 140-million-dollar settlement in a privacy invasion judgment.) In this light, many see the Kantanka hit job article as an over-exuberant attempt to save the US Media giant, by putting out controversial stories in order to garner wide readership. Ordinarily I would not give voice to such skepticism, coming from a failed US media giant, but it seems to me that a sincere attempt to deal with the gray areas would clarify some key points and perhaps draw the attention of the Ghanaian government—an attention needed to resolve concerns and foster a vibrant environment for new technology in Ghana to thrive. Therefore, accusations about Kantanka must be carefully examined. This assertion of made-in-Ghana is not without a peculiar history. Ghana used to make, or rather assemble, cars. One such endeavor in recent memory is the Boafo pickup truck from the early 1970s, which garnered much public disdain and provoked a similar international reaction – that the trucks were not made in Ghana – albeit Boafo was never branded as a made-in-Ghana vehicle. Criticisms about originalism are lethal in Ghana. Consumers in Ghana, as opposed to those in China perhaps, conflate ideas about originalism, patriotism and economic value. This is unfortunate since ideas about originalism in Ghana are deadly for new industries. Allegations that Kantanka’s cars are not made in Ghana – that they are made in China and that the parts of the cars can be purchased online; or that, at best, they are knockoffs of Chinese engineering—is the primary matter at hand. The feat is not impossible but it is a formidable task given that Ghana is not even a semi-industrial nation. Bold criticisms have called Kwadwo Sarfo Kantanka, the founder, a false prophet who is basically providing a conduit for a Chinese company to get access to cheap local labor and dodge import duties. Much of the debate about Boafo then and Kantanka now concerns intellectual property. Who owns the designs and blueprints for the various key components of Kantanka vehicles—the Chinese company cited on Alibaba or Kantanka? Slapping the Kantanka logo on a Chinese design will not be the first such commercial practice. Moreover, it is not illegal to sell another brand under a new one; in fact, this is common. But if this is the case, then obviously Kantanka cannot brand the vehicles as made-in-Ghana. To this point, Kantanka only has itself to blame. Kantanka Automobile Company claims to be Ghana’s first carmaker. The company has branded and marketed the Kantanka as a Made-in-Ghana product, so at this juncture it will either survive the discomfiture by showing the evidence for its Made-in-Ghana brand or fall on its own sword. Over much of the past year Kantanka has made not only local news but also has raised some international eyebrows within the purview of an industrialized world ever afraid of the threat of an Nkrumahist Africa. The notion of a mature industrial product emerging fully realized from a not particularly industrial nation is a patriotic idea for Ghanaians and a frustration for competitors that sell cars in Ghana. More than 50,000 foreign made and assembled cars enter Ghana yearly from abroad. Hence all admiration and skepticism of Kantanka must therefore be funneled through this unsettling filter. The pharisaism of originalism in ideas and technological transfer often conflate pragmatic economic ideas with nation building. Of course, there’s a powerful historical context at work: Nkrumahism – the idea that Ghana and, indeed, Africa are capable of doing all things for themselves. Although this is true and sovereignty (of which a couple of African nations can barely boast) is important, it has little relevance for a changing car manufacturing industry in the twenty-first century. Counting every part down to the smallest screws, a single car has about 30,000 components designed, developed, manufactured, and sold through at least some 3,000 different industries The 30,000 or so parts use different raw materials and different manufacturing processes. Making good parts requires a lot of research and development. Having the parts made by companies, at home and abroad, with diverse fields of expertise allows any car manufacturer to obtain high-quality parts. For example, Toyota’s suppliers make seats, wheels, steering wheels, windshields, headlights, and meters. Only a super-cluster of industries in any given country can facilitate all-inclusive locally-made cars on a sustainable and profitable basis. That is done nowhere. The reality that all industry uses horizontal supply lines renders any criticism of Kantanka along these lines a mere sign of economic illiteracy. While designed and built in Ghana, the Boafo truck used outsourced significant parts like the engine. For those reasons it did not claim to be a made-in-Ghana machine. Although some Nissans, Subarus and Toyotas, including the Tacoma and Tundra trucks, are designed and assembled in the United States where they are sold, they are still designated as imports. Hence, it is not unfathomable that in the twenty-first century a Kantanka manufacturing operation would have some Chinese dimension. No matter the motivation, it is difficult to build a car industry anywhere. The first Japanese cars were knockdown copies of American cars. The first American rockets were knockdown copies of German V2 rockets. If Kantanka serves an African market with knockdown versions of foreign cars, the idea would not be new under the sun. Truth be told, it would be a smart move. If the parts are manufactured using Kantanka designs at a Chinese manufacturing firm, this is a rational business decision. On the contrary if the parts come from China, are designed and built in China by a Chinese company, and are only assembled in Ghana, that becomes a serious indictment on the character of Kantanka Companies. Besides the made-in-Ghana debate, the second, and perhaps graver, issue arises if Kantanka is abusing import laws by helping a Chinese firm evade import duties, though this indictment would fall squarely on the government of Ghana. Kantanka has been in “business” for almost a year – providing Ghana Police and other such public outfits with test vehicles. The Vice President of Ghana himself has two orders of Kantanka’s machines in hand. Any serious government would have already investigated and issued a report on the nature of Kantanka’s manufacturing in order to adequately schedule the company and its products within the appropriate tax and import duty brackets. For any competent government, an allegation of this nature so late in pipeline of production should be a non-issue. The serious take home point lies in how Ghana achieves technological advancement. The question of whether Kantanka is truly manufacturing his own cars or whether the company is merely a conduit for Chinese industry is an important one. If our government chooses to invest in Kantanka, which it should, every doubt that the company is being used to evade import duties must be cleared. Or if our government ascertains that Kantanka is being used, then the government must collect the appropriate import duties. These are government decisions. Any criticism of Kantanka without criticism of the government of Ghana is propaganda meant to undermine the brand without providing long-term solutions to resolve outstanding problems. The Boafo manufacturing effort of the 1970s was short-lived, not that it should have survived necessarily, but one can only imagine where Ghana’s automobile and allied industries would be in the twenty-first century if Boafo, or any one of the several others before it, had been adequately monitored by a respectable government agency to stay its course. There remains no doubt that Kwadwo Sarfo Kantanka began building from scratch a new line of “vehicles.” It is, however, fair to assume that the economics were never in his favor. A lack of government or private sector support could have only led to a Chinese option. Now our government of Ghana must make sure that the bulk of our investments are not paying for Chinese SKDs (kits containing semi-parts needed to assemble a product) and CKDs (complete kits needed to assemble a product), because solely the made-in-Ghana label deserves the privilege to accord the company all the IP rights and designs as required by law. In a part of the world where leaders have often failed (and failed terribly), perhaps it has become fashionable to habitually ignore, spare, or degrade uncomfortable questions. Our government has to wake up and take Kantanka seriously, so that its growth and success will benefit the people of Ghana. 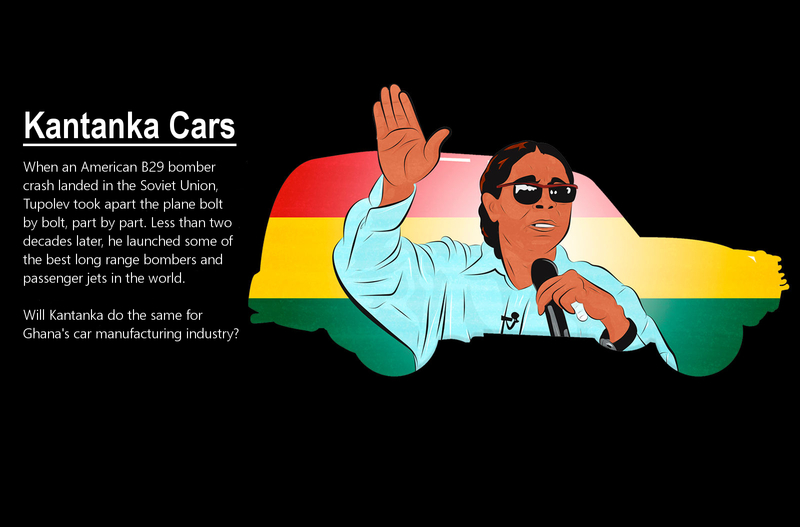 Will Kantanka Lead An Industrial Revolution? Some purported technological moralists insist that Kantanka should have started more humbly with the manufacture of simple machines like motorbikes, tricycles or simple farm machines – tractors and combine harvesters – the blueprints of which undoubtedly the Kantanka Company would have built upon and owned. This approach, they claim, would have been more feasible since the capital and technology involved isn’t the hurdle that a sustainable and profitable car manufacturing plant ought to muster. Arguments like this are particularly unconstructive. Dilettantism—or propaganda masquerading as critique—as a leading principle in the advancement of technologies and economic policies of pragmatic importance to people will mark the end of valuable debate. Nothing will be further from a thoroughly serious analysis than such an attitude. Almost all debates owe something to dilettantes, often very valuable viewpoints. For that reason, all dilettantism, local or foreign, is not necessarily bad – not all forms of it are tolerable either. To this point, what interests do non-African critics have in the politics of Kantanka or Ghanaian government affairs? The irony, of course, stands that the recent criticism against a Ghanaian auto manufacturer, Kantanka, on the grounds of originalism stems from a society and political ecology that is comfortable with skirting its own originalism for economic value; native production, design, and manufacturing in America are vanishing as most of American manufacturing is found in China. Rather than call Kantanka a foe, if anything, these faultfinders should fall in love with Kantanka – if they believe Kwadwo Sarfo is doing what America does best. In any case, every time consumers are confronted with a counter narrative such as that of a Not-Made-In-Ghana product, they are more likely to opt against cars assembled in Ghana in favor of those assembled abroad, even if the former were to launch their own country into an industrial age. Already Ghana imports some 50,000 vehicles yearly, which come at a dire expense to the everyday Ghanaian. Frankly, the details of where Kantanka cars are designed, built, and assembled are of little relevance to the average consumer who can now afford a vehicle for work. It is comforting that the Ghanaian business class, much like the average consumer, is excited about this new company and has hailed Kantanka’s commercial exploits as an exemplary and important component in the quest to establish an industrial base in Ghana. At the very least, they see Kantanka as a first step in reengineering most of the technologies in current use in the country. Kantanka provides a much-needed template to ignite an industrial revolution from out of Ghana, out of West Africa and, perhaps, out of Africa. If we should invest in Kantanka, we must be clear that the technology is here in Ghana to stay, that it is not a fleeting trifle and that it also adds value through local contribution. Narmer Amenuti finely synthesizes reactions across the board after remarks – a collection of expected strategic gambits – from a US media outlet about Kantanka (acclaimed Ghanaian car manufacturer) surfaced last week. 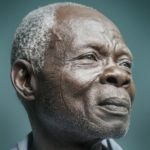 While discounting the crass journalism which seems to have pushed many into an obsession with the titillating story about Apostle Kantanka’s “dishonesty,” Narmer provides a phlegmatic footing for the objective analysis of Kantanka and what Kantanka’s Made-in-Ghana dream might actually entail. This is an engaging read. Enjoy. My brother i never bordered to go further to read the formal article of critic against the work of Kantaka project why? because i realised that the effort of the earlier writer was disingenuous, bogus and an intellectual exercise of futility which need no serious mind attention. 1. There is no serious production industry who enter into business for fame of originality sake but drive on economic interest agenda. Per such reason, companies of this caliber will only always out-source component that will economically be unprofitable to produce internally. All the US phones branded in their company name designed the mother body at the factory and outsource the chip in one of the Asian country which has a special plant for chip production making it relatively less costive. Then how do the person or the company in this context claim the originality of the chip, because he/she submitted the original idea of the kind of chip production he is looking up to but has no industrial capacity to produce, as well us it economic sense per the environment that exact company dwell. Katanka started using Saw dust for it Engines, striving to use simple things around his environment to achieve the dream and fear was all over on the content of it quality. ou are correct my dear friend Tweneboah Senzu. I wait for your volume 2. Vol2. Taxation: are people serious in Ghana at all, I foresee mostly Civil servant who are already liability to the state, with their labour effort as useless as them, yet our tax money are feeding them, sing such kind of chorus. I must be very frank with you, the kind of taxations programmes coupled with the soft nature of our currency going through devaluation and depreciation, will even exclude inflation, makes living in Ghana as a private business man, a suicidal attempt, with the exception of those enjoying state income of taxation they never worked for. So it not surprise to realised that a smart business man will have to connive and condone with the politicians who are in power to gain some special preference and relieve in other to survive their enterprise. If not their hard toiled labour will all go down in drain. So let be mindful of words like invading state tarrif etc. Those same lazy cocoons who sing such chorus are not able to extend this gimmicks to foreign Enterprises who are in the business of exploiting our system and indulging in tax heaven programs because they enjoy their “cuts”. Let the man and his workers rest. Larger volume of their Engineering student does apprenticeship there to the extent of most of them now in a full time employment contract. NB: I know not this man, have not even seen him before neither any of his children my friends or close circle member but he need recommendation as a Ghanaian not this. Before any one could criticise he/she should start from the scratch like him in Ghana and become a guru in this industry before we will listen to any thing such a person may have to say, or it will forever remain as an idiotic talk. He should have started producing simple farming tractors to help boost agric. As he is a farmer himself. I finally read it. Level-headed. Balanced. A calm and level-headed examination (phlegmatic, eish Akosua no no) of the facts cleared up most of the dust that was raised by that insidious article from gawker, and probably added to Kantanka’s case. No matter the doubts, Kantanka is doing a lot for its surrounding community. The people are employed, eating well, and Ghanaians have a car to be proud of, one that they contribute to the production of more than others and one that is more affordable, unlike all the cheap knock off versions of cars that foreign companies bring for exorbitant prices. Even if he stole the technology, considering the balls needed for one to make a claim of this scale, he is a hero. This very platform on which I have just reached you all, can be argued as a stolen technology… why ant all these people all up in this Sugerberg dude’s business? But Audu, Zukerburg does not claim that FB was Made-In-Germany. No FB user claims that FB was Made-In-Germany even if they use it from Germany. You can steal. But it”s not the stealing that is the problem. Kantanka claims that the cars are Made-in-Ghana. Well, are they? The answers have huge implications for taxes and technology transfer. My friends, if his cars are not really Ghanaian designed cars, if the blueprints are not his, he’s fooled everyone. Every Ghanaian should be mad about that were that the case. I still hope that the designs and the blueprints are his own. That way when I build my tire manufacturing plant and I can produce cheaper tires for his company, I don’t have to negotiate with some Chinese man. What Narmer Amenuti has done in this essay is to put the implications into perspective. Yes we can steal FB. All we need to do is have the stolen FB code running on Ghanaian servers at home with maximum security. After all the chinese and the russians did the same in their own countries for their own facebooks. Using FB on FB servers stationed in America with FB security is not exactly stealing – it’s called we are stupid. I hope this not what Kantanka is doing. I hope, that even if he stole the tech, that he now can build everything in Ghana, baring the cost. If he can, it will spur several other companies in Ghana to buy his licenses to manufacture different parts of his cars in the future. This is the vital point. The difference is not insignificant. Unfortunately the vehicle that Kantanka imports as CKDs were in the Chinese market place for many years before Kantanka started to work with his Chinese partners. There is nothing wrong with assembling CKD kits in Ghana. I tried to purchase the entire production line of the LDV Pilot and Convoy commercial vehicles but got no backing from any Business or Banking organisation in Ghana. Including all the tooling, all I needed was a paint shop and supplier for a suitable engine (LDV had several possibilities costed out). All other parts would have remained the same. Those would have truly been Made in Ghana. Sadly Kantanka chose to say they are Made in Ghana. I suspect so he can avoid Tax and Duty. If he bought in CKD versions of the Royal motorbike and called them Kantanka and said they were Made in Ghana then Kantanka would still be less than truthful. If he was to manufacture the frames, tanks, wheels etc. But buy in complete engines/gearbox from India or China then he could justifiably call them Made in Ghana. Mercedes imports some vehicles that are made outside the US and completes assembly in the US to get round import restrictions. I don’t know where they claim they are made though. What Kantanka should have done is get his Chinese partners to build a fully functioning manufacturing plant in Ghana. The more complex things such as engines could be built in China and imported. Then the vehicle could be sold throughout Africa and help to grow the Ghana economy. Rather than to enable a Chinese Company to avoid Tax and Duty. Aston Martin now buy engines and gearboxes from Mercedes/AMG. There is not denying an Aston Martin is made in the UK though. Same goes for Rolls Royce. Or Peugeots and Citroens fitted with the previous 2.7tdv6 engine and current 3.0tdv6 engine which is made in Dagenham in Essex at the Ford engine plant. Dade, you are right. He should just appropriate the technology to the fullest and make it a wholly Ghanaian venture. If he does that, he would then sit and relax and it will be an argument between hose who feel he needs all the support to establish and he transfer his courage to other industrialists versus thoe who want to continue singing the song of “he stole” it. Yes Audu, all I am saying is that Kantanka better makes sure the technology is now Ghanaian, whether he stole it or made it himself. That is key. The rest is gibberish. I could care less. But if he doesn, and the government fails to appraise themselves of the matter, then all that cash that will go into buying Kantanka’s cars will the bulk of it land in China. We don’t want that. And I am not saying that it will be the end of the world. But we stand to benefit a great deal by making sure that Kantanka is doing the right thing for himself and for Ghana by hook or crook!Yes Audu, all I am saying is that Kantanka better makes sure the technology is now Ghanaian, whether he stole it or made it himself. That is key. The rest is gibberish. I could care less. But if he doesn, and the government fails to appraise themselves of the matter, then all that cash that will go into buying Kantanka’s cars will the bulk of it land in China. We don’t want that. And I am not saying that it will be the end of the world. But we stand to benefit a great deal by making sure that Kantanka is doing the right thing for himself and for Ghana by hook or crook! The real question is: now we know that Kantanka’s car is made in china and assembled in Ghana, should we buy Kantanka’s car in this range of prices? between 18000$ and 32000$ for a chinese engineering? Germans make great cars a this range. But buy Kantanka’s can motivate them to create 100% Ghana made car. If they are less motivated by the business than the proudly ghana product. I understand that they need to buy component in other country’s we are not industrialised for car manufactures but the engineering can be made in Ghana. Apple products are well designed in California and made in China. But really i’m disapointed because they lied to us.